Known as the most successful manufacturer ever to race in Formula One, Ferrari is also famous for its glorious sports car racing years. The Italians gathered no less than nine outright Le Mans wins and 13 World Sportscar Championships between the late 1940 and the early 1970s, being surpassed by very few companies in that department. Ferrari’s golden age of endurance racing came to a halt in 1974, when Enzo stopped all development of sports cars prototypes in order to focus on Formula One. 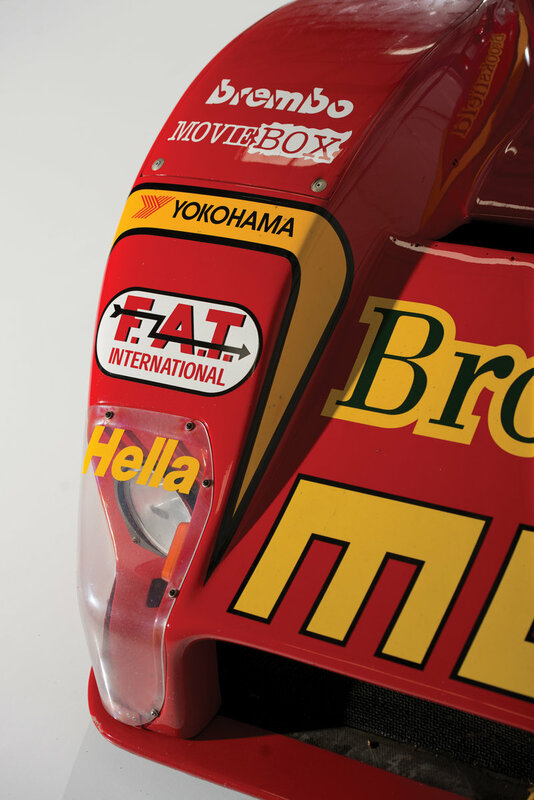 Maranello lied dormant for nearly two decades until 1994, when the 333 SP, built at the request of amateur racer Giampiero Moretti, hit the track marking the brand’s return to sports prototype racing. Designed by famed Italian chassis manufacturer Dallara, the 333 SP was offered to privateers who raced it with great success until 2003. The open-top race car not only managed to give Ferrari a triumphant return to sports car racing, it also became the only Ferrari to win the 24 Hours of Daytona and the 12 Hours of Sebring. The shell is incredibly flat, with only the rear air intake, fin and large wing disturbing the otherwise toneless landscape. Very few manufacturers have managed to build race cars that have performed while looking downright gorgeous, and Ferrari is definitely one of them. Granted, the 333 SP is not the most attractive race car the Italians have produced, but its designers focused on nothing more than aerodynamics and downforce. The shell is incredibly flat, with only the rear air intake, fin and large wing disturbing the otherwise toneless landscape. The sloping nose sits as close as possible to the ground, while the no-nonsense rear end is dominated by the large, fixed wing, the fat tires and the exposed chassis and lower engine bits. Campaigned by Momo founder Giampiero Moretti, the version depicted here is finished in the company’s iconic red and orange livery, previously seen on famous Porsche racers such as the 935 Turbo and the 911 RSR. The interior hosts nothing more than racing gear. The interior hosts nothing more than racing gear. An electronic display sits right behind the flat-bottomed, Momo steering wheel, while the remainder of the dashboard is covered with all the necessary switches, buttons and indicators. The two-seat cockpit is fitted with a bolstered driver’s seat with multi-point harness, while the gear shifter resides near the right body panel. The open cabin is packed with carbon-fiber, which can be seen on anything from the dashboard and the seats to the floor. No wonder the 333 SP tips the scales at only 1,900 pounds. The 4.7-liter mill was modified to displace the IMSA-required 4.0 liters and has its redline increased to nearly 12,000 rpm. 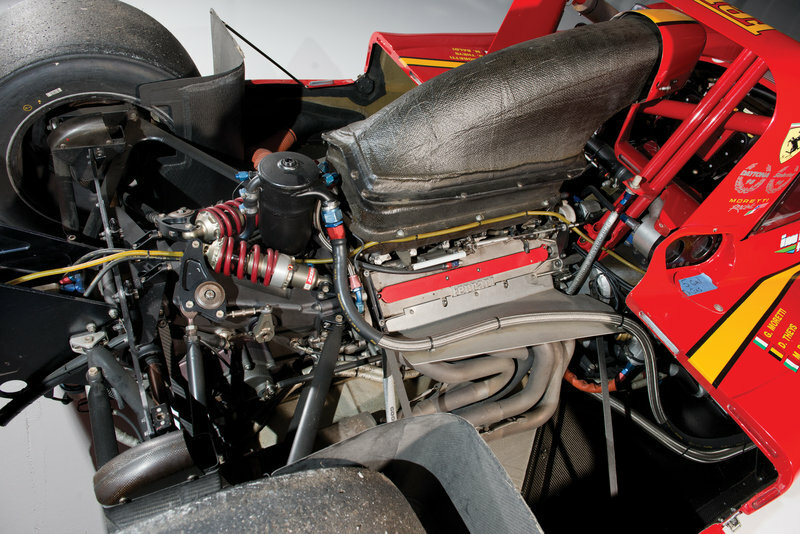 With its career spanning over eight years, the Ferrari 333 SP raced with more than one engine under its hood. 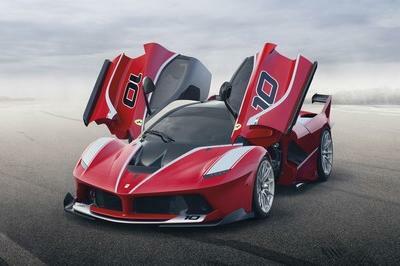 Initially, Ferrari fitted the race car with a version of the V-12 unit used in the F92A Formula One car. The powerplant had its displacement increased from 3.5 to 4.0 liters, while output was set at around 600 horsepower. When it joined the IMSA GT Championship, the Italians switched the F1 engine for the five-valve-per-cylinder V-12 found in the F50 supercar. The 4.7-liter, mid-mounted mill was modified to displace the IMSA-required 4.0 liters and has its redline increased to nearly 12,000 rpm. Output now stood at no less than 650 horsepower and it used a sequential, five-speed gearbox. The 333 SP was capable of speeds of up to 230 mph, while its lightning-fast acceleration stood at three seconds to 60 mph.. The 333 SP had its body bolted on a lightweight, state-of-the-art chassis fitted with double wishbone, independent suspension front and rear and pushrod-operated coil-spring and damper units. Stopping duties were handled by ventilated Brembo disc brakes and calipers on all four corners. 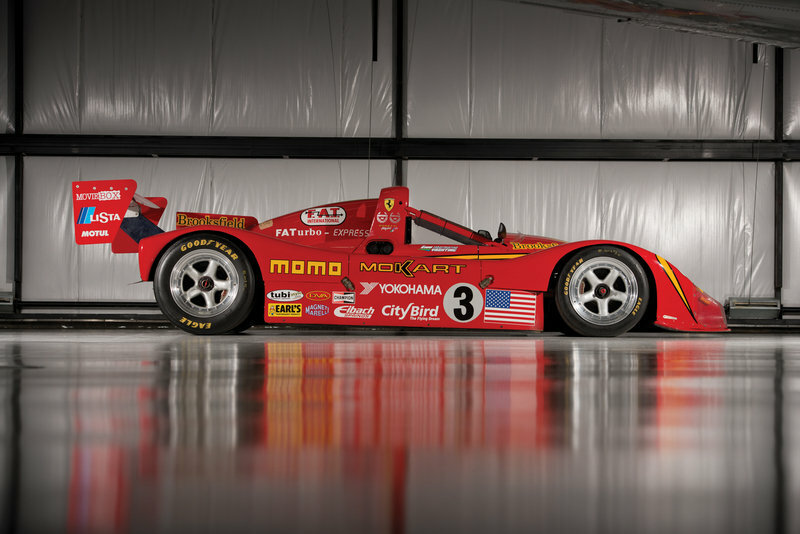 Pricing a nearly 20-year-old race cars is obviously reserved to experienced car specialists and auction companies, but auction events provide useful information as to how much a Ferrari 333 SP could be worth. For instance, the 1998 model shown above attracted a high bid of $3.4 million during a RM Auction sale at Pebble Beach in August 2014. The race car didn’t meet its reserve, meaning it could be worth more than that. The figure is far from shocking, as chassis no. 19 is the only Ferrari to win the 24 Hours of Daytona and the 12 Hours of Sebring and the winningest 333 SP. 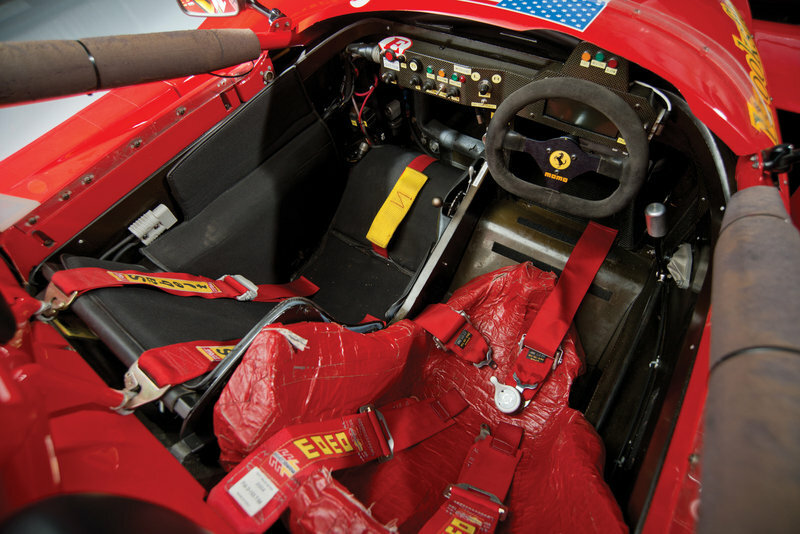 When launched, the Ferrari 333 SP was sold to privateers for nearly $1 million. Only 40 units were built. The Ferrari 333 SP and the Porsche 911 GT1 clashed many times during the late 1990s. Their most important encounters occurred in 1998, when the two battled for supremacy in both Europe and the United States. While the 333 SP beat the Porsche at the 24 Hours of Daytona and the 12 Hours of Sebring, the Germans went on to win the 24 Hours of Le Mans. 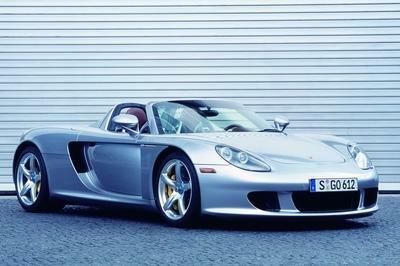 Unlike the 333 SP, which was fitted with a V-12 powerplant, the 911 GT1 carried a flat-six twin-turbo under its huge hood. The mill displaced 3.2 liters and generated 592 horsepower. The GT1 was capable of speeds in excess of 200 mph at Le Mans in its initial configuration, but Porsche’s focus on downforce for 1998 reduced its top speed to 193 mph. Between 1996 and 2003, the Porsche 911 GT1 scored 47 outright wins and 10 additional class victories from 245 entries. 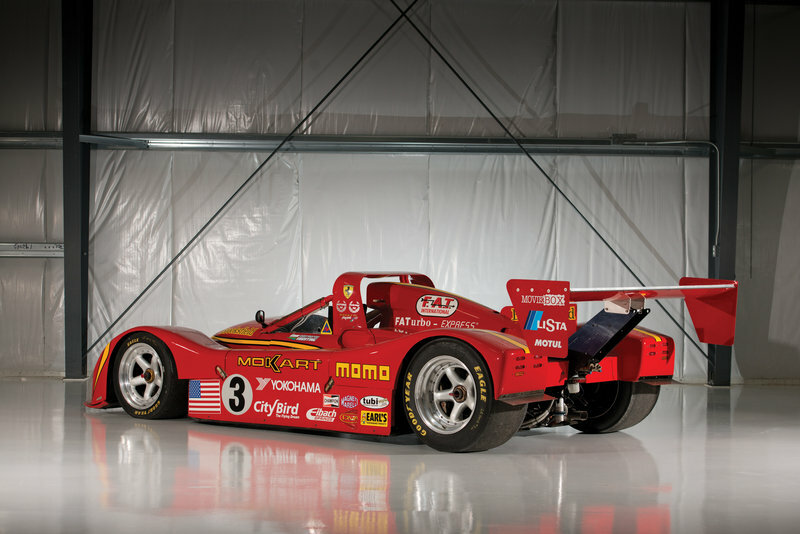 By comparison, the Ferrari 333 SP won 49 races and six class wins between 1994 and 2003. The 333 SP is certainly not the first Ferrari that comes to mind when thinking about Maranello’s past racing success. It wouldn’t make it in our top-10 greatest Ferrari racers ever built, bu the 333 SP holds an important place in the automaker’s track history, most notably for winning at Daytona and Sebring. And although it lacks the beauty of the 250 GTO, it will likely become a classic over a couple of decades. The unveiling of the 333 SP heralded Ferrari’s return to sports car racing upon its introduction in 1994. The company had built much of its storied reputation on its sports racing cars, and this would be Ferrari’s first car of its type since the legendary 312 P. As history quickly proved, the 333 SP was a worthy heir to Ferrari’s prototype racing heritage. 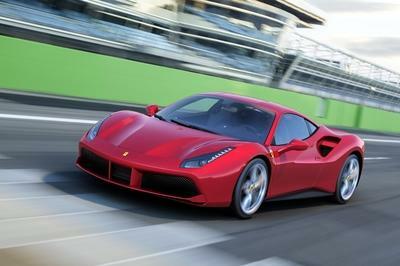 Upon Ferrari’s departure from sports car racing, the company had shifted its focus to Formula One and focused solely on putting its drivers and cars on the top of the podium at the world’s grand prix circuits. During this nearly 20-year period, Ferrari remained noticeably absent from endurance racing, leaving former competitors to take Ferrari’s place at the front of the grid. As the story goes, Giampiero Moretti, the founder of the Momo automotive accessory empire and an amateur racing driver, walked into Piero Ferrari’s office in the early 1990s with a grand idea. Moretti wished to finish his racing career in a sports car race but only at the wheel of a Ferrari. With the support of Ferrari North America’s chief, Gian Luigi Butioni, the 333 SP was born. This project was massively appealing to the higher-ups in Maranello, as Ferrari’s sports car racing effort was aimed at the key North American market; the United States did not host any Formula One races at that time. Instead, there was the IMSA World Series Sports Car Championship, which was in the midst of a rule change ahead of the 1994 season. 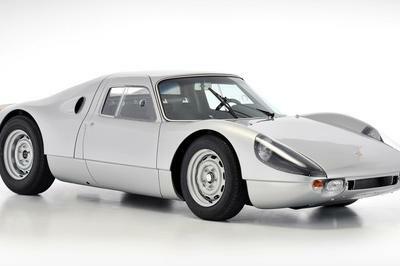 This business case made perfect sense to Ferrari’s CEO, Luca di Montezemolo, who readily approved the plan to market the 333 SP to its privateers. Of course, Ferrari didn’t turn its back completely on its Formula One team. 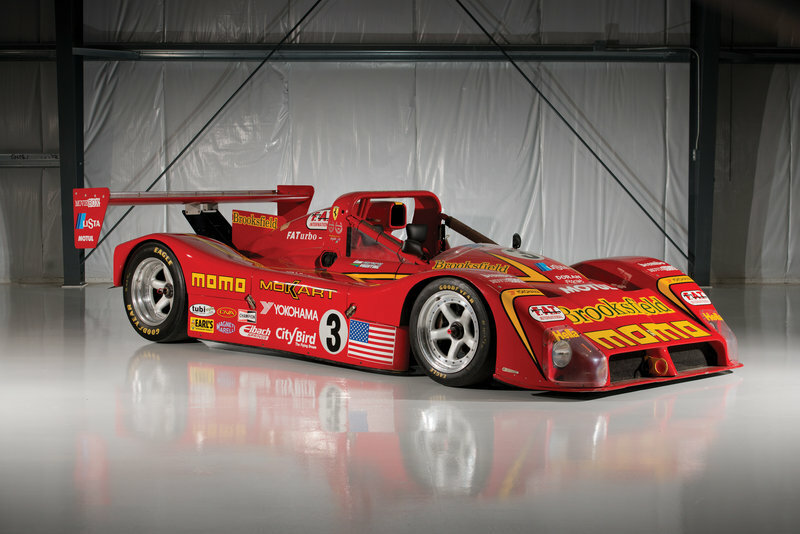 It based the 333 SP’s carbon fiber composite chassis on its F92 structure, although the prototype racer was widened to comply with IMSA’s two-seat requirement. 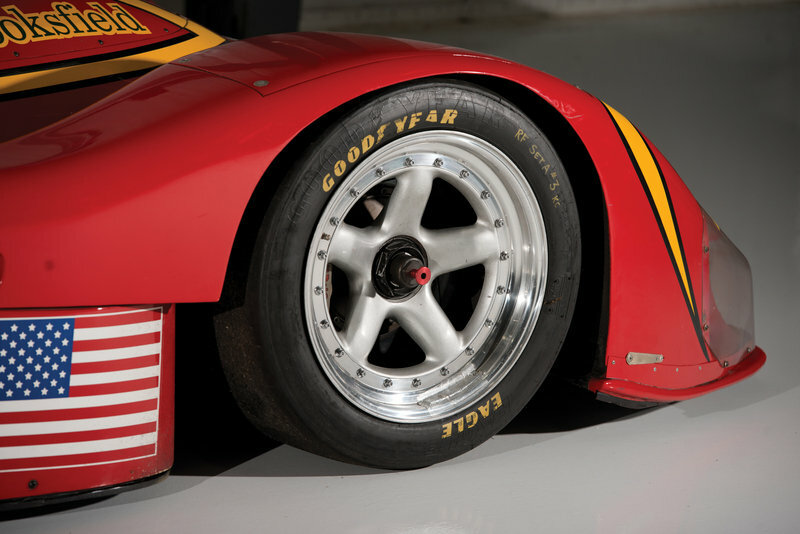 The car also had to be easily serviceable by private mechanics and pit crews; as a result, Ferrari modified its F50’s 4.7-liter, five-valve-per-cylinder V-12 to displace the IMSA-required 4.0 liters and increased the redline to nearly 12,000 rpm. The soundtrack was simply unforgettable. 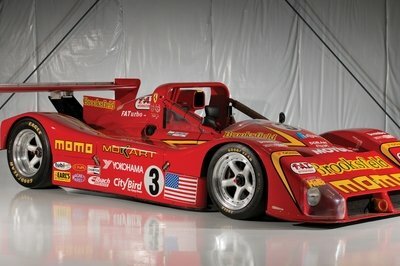 Just before Christmas 1997, the Momo 333 SP was delivered to Doran-Moretti Racing to be prepared for the upcoming season, in which the first race would be the 24 Hours of Daytona on January 31st. In a feature article for issue 111 of Cavallino, driver Didier Theys describes how chassis 019 was tuned slightly by the team to perform better over 24 hours. Testing began during the first week of January, to prepare both the car and its team for one of the most challenging races on American soil. Of course, as the car was campaigned by a team headed by Giampiero Moretti, it was only right that Moretti would also find himself behind the wheel to finish out his career, just as he had described to Piero Ferrari a year earlier. The two competitive outings for chassis 019 would be at a pair of the world’s most storied and competitive endurance races: the 24 Hours of Daytona and the 12 Hours of Sebring. 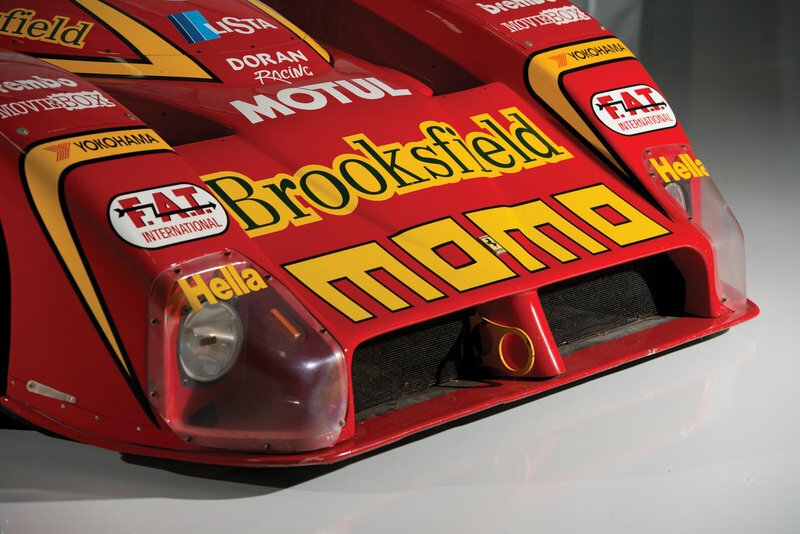 After less than a month of preparation, the Doran-Moretti team arrived at Daytona with their 333 SP festooned in eye-catching red and yellow Momo livery, keen to make an impression. 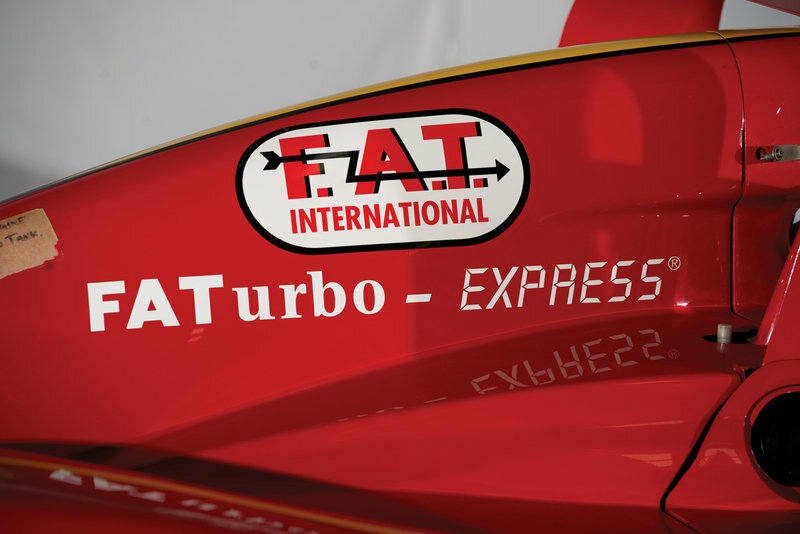 With Mauro Baldi, Arie Luyendyk, Didier Theys and Moretti himself as drivers, the car qualified second, an accomplishment that anyone would have been proud of—but one that would pale in comparison to their overall finish. Following a close battle with the Scandia Engineering 333 SP (and a minor off with Moretti behind the wheel), chassis 019 emerged at the front of the pack after 24 hours, and both drivers and crew where thrilled to take the checkered flag. This was a monumental moment for not only the team but for Ferrari themselves, as the marque had not been atop the podium at that event since 1967. Moretti, Theys, and Baldi would return behind the wheel of chassis 019 at the 12 Hours of Sebring just a few weeks later. Qualifying slightly further back on the grid didn’t hinder the team in the slightest, and the car eventually found its way to the front of the pack, where it would stay and once again cross the finish line in first place overall. Coming out of March 1998 with two overall wins at two of the most arduous events on the calendar was nothing short of spectacular and caused quite a stir in the motorsports community. The next event for the Doran-Moretti team would be the 1,000 km of Monza, and sadly the result would not be as impressive as its first two races, since the 333 SP failed to finish due to a battery issue. However, chassis 019 would prove competitive once again in its next event, the 24 Hours of Le Mans. Finishing 3rd in its class, this would be the final professional event for chassis 019, closing the book on a short but highly successful racing career, which cemented the 333 SP’s reputation within the storied history of sport-prototypes to wear the Cavallino Rampante. Following its retirement from professional racing after its appearance at Le Mans, the car was flown back to the United States, where, as can be expected from a car that just finished three major endurance races, it was totally rebuilt, including its five-speed gearbox, to prepare it for a second life as a vintage racer. Within a month of arriving stateside, it was sold to Charles Arnott of Easton, Maryland, who entrusted the car to Cavallino magazine, where it would be featured in issue 111 in an article written by Marc Sonnery. Despite its retirement, chassis 019’s fame would never fade, and it was featured frequently in motorsports publications, including once more in Cavallino, reviewing its stint at Le Mans, as well as in Forza. There is no question that chassis 019 is the most successful and iconic 333 SP. With overall wins at both Daytona and Sebring, not to mention a third-in-class finish at Le Mans, it boasts spectacular racing pedigree that puts it in an elite group. Carefully preserved by knowledgeable enthusiasts since the day it left Doran-Moretti’s care, this car would be an ideal entrant for historic racing or Corse Clienti events. For the track day or sports-prototype racing enthusiast, owning a Ferrari with wins at Daytona and Sebring on its résumé is a rare and privileged opportunity.